You want to go on a romantic seaside holiday but you don't find the overcrowded beaches romantic and solitary enough? Find your very own corner of love and happiness on one of many beaches on the Croatian coast that are ideal for couples. We've done our best and among the multitude of gorgeous beaches Croatia has up its sleeve, we've chosen 6 beaches that are best for all of you eager for some seaside romance. The first beach on our list of top 6 most romantic beaches in Croatia is located near village Popovići around 30 kilometers from Dubrovnik. Pasjača beach is special because of its isolated position but also because of its origins. Pasjača is a man made beach. During World War II villagers threw stones here and as time passed the sea broke the stones and turned them into fine shingle. You can get to the beach by a stairway that is appended to a steep cliff so make sure you watch your step! There's also a parking lot at the top of the cliff. When you finally climb down you'll find a beautiful shingle beach encircled by a big cliff and clean, unspoilt blue sea. This is an ideal spot for lovebirds. 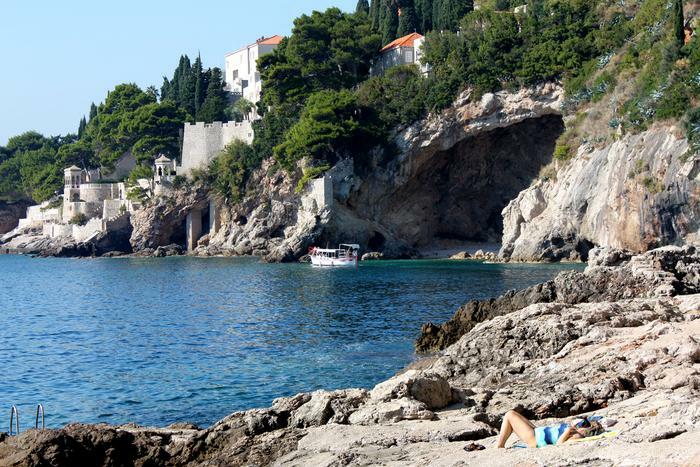 Book your apartment or room in Dubrovnik and set aside a day for a trip to beach Pasjača. The next beach on our list is not only for romantics but for the adventurous ones too. The picture perfect pebble beach sv. Ivan under the cliff – town of Lubenice on the western side of island Cres. Getting there is quite a feat – it takes an hour to get there by walking! So don't expect any restaurants or shops there. Also, make sure you don't forget to bring along something to eat and drink. A parasol and a sunscreen are a must too! Book an accommodation on island Cres. 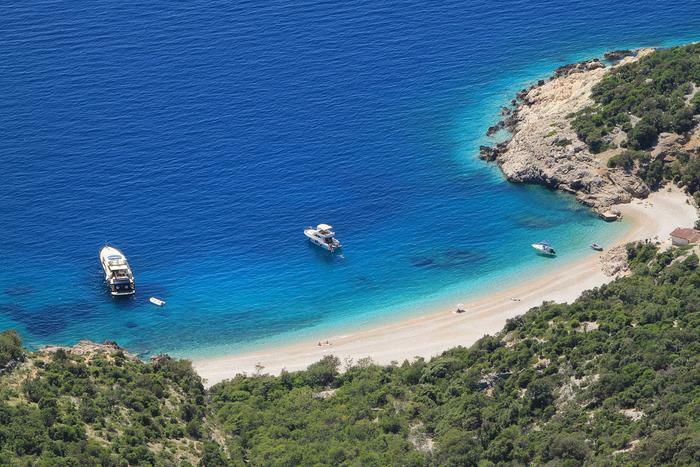 Now we're on our way from Cres to its neighbour – island Krk. Vela Luka beach is just 6 kilometers away from the popular tourist settlement Baška. In 2015 this beach was named by a Croatian travelling magazine the most romantic beach in Croatia. You can get there by an three hour walk through a mountain passage. Those of you not feeling adventurous enough should get there by a taxi boat that sails every day from Baška. Surrounded by a clean sea and majestic hills, this beach is ideal for those who want to hide from the overwhelming crowd and of course, for those eager for some romance. Although secluded, you can find a restaurant there and you can also rent out a parasol and deckchairs. Book an apartment or room on island Krk. 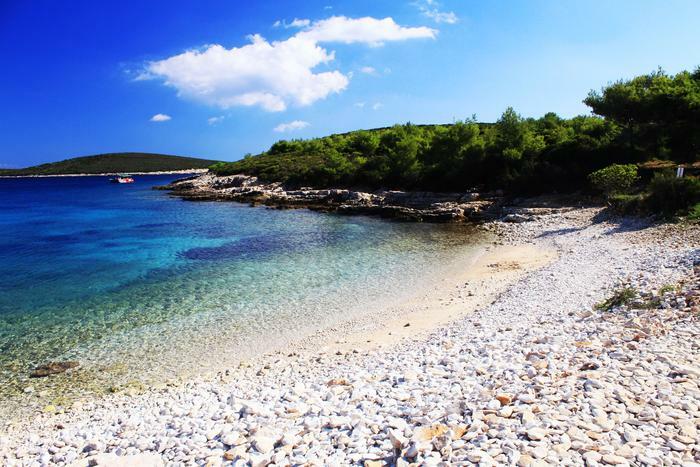 The next romantic beach on our list is located in Rukavac on island Vis in Central Dalmatia. The Srebrna beach is a pebble beach with stone parts. Because of its grey, amost silver like pebbles it was named Srebrna (lit. Silver beach). The lush vegetation gives a nice shade. Also, there are changing rooms and a public toilet. 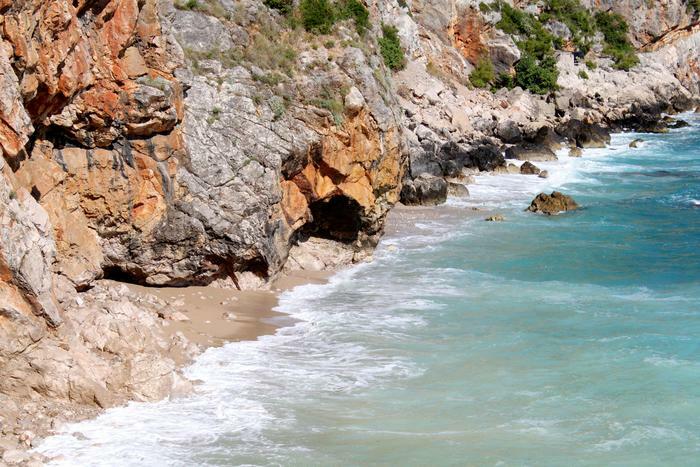 Explore other coves and beaches in the vicinity which are equally beautiful as Srebrna beach. Since there are no restaurants or supermarkets in the vicinity, make sure you don't forget to bring something to eat and drink. 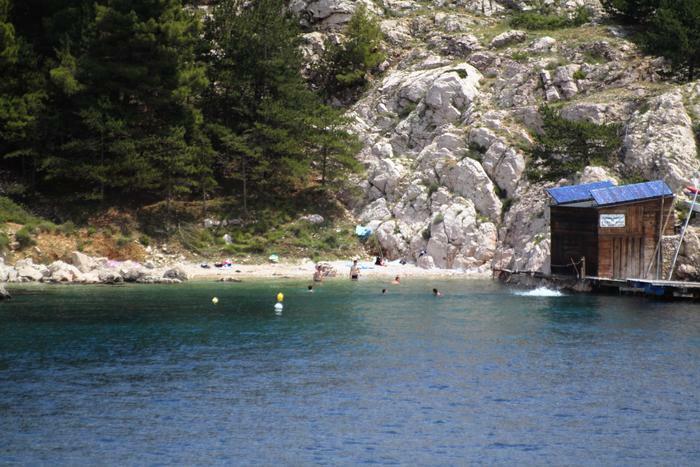 The next beach on our list is on the islet Biševo, not far from the Komiža town on Vis. The sandy beach Porat is found in the eponymous cove on the southern side of Biševo. This beach is secluded from the winds and is surrounded with a pine forest. There are also a public toilet, restaurant and a fast food. Porat's beauty was acklowledged by the Irish Times when it was included in its top 7 most beautiful world beaches list. 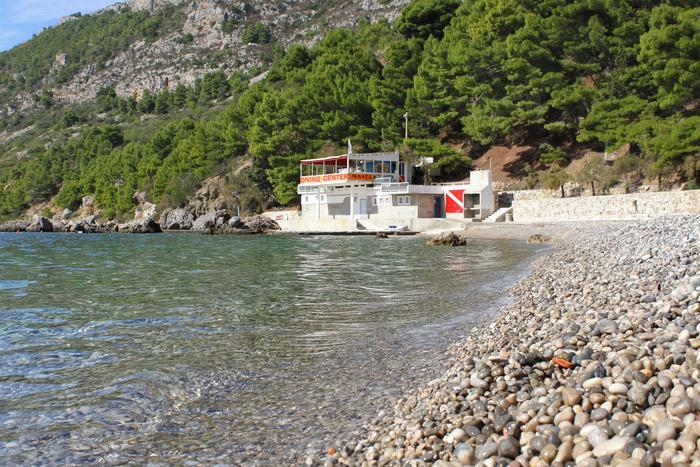 Book your accommodation in Komiža on island Vis. Spice up your romantic moments and your stay on Vis with its legendary wine native to the island – the red wine Plavac which will seduce your taste buds with its rich and full taste. Also try another native wine – the Vugava – a white wine with a fresh and fruity aroma.